Taking its title from a phrase uttered by Manitoba's illustrious Premier, Sir Rodmond Roblin, during a heated exchange with Nellie McClung, "Nice Women Don't Want the Vote" is an exhibition that was developed by the Manitoba Museum to commemorate the 100th Anniversary of Manitoba women winning the right to vote on January 28, 1916. The exhibition opened at the Manitoba Museum in 2015 and has since travelled to locations throughout Manitoba as well as Saskatchewan, Ontario, and Quebec including the Canadian Museum of History in Gatineau and has been enjoyed by more than 70,000 visitors. On January 28, 1916, the Manitoba Legislature amended the Manitoba Election Act and for the first time in the province’s history, some (but not all) women could vote in provincial elections. “Nice Women Don’t Want the Vote” outlines the causes, the contradictions, and the people involved in the Suffragist movement, emphasizing the fact that suffragists wanted real power in order to change society. 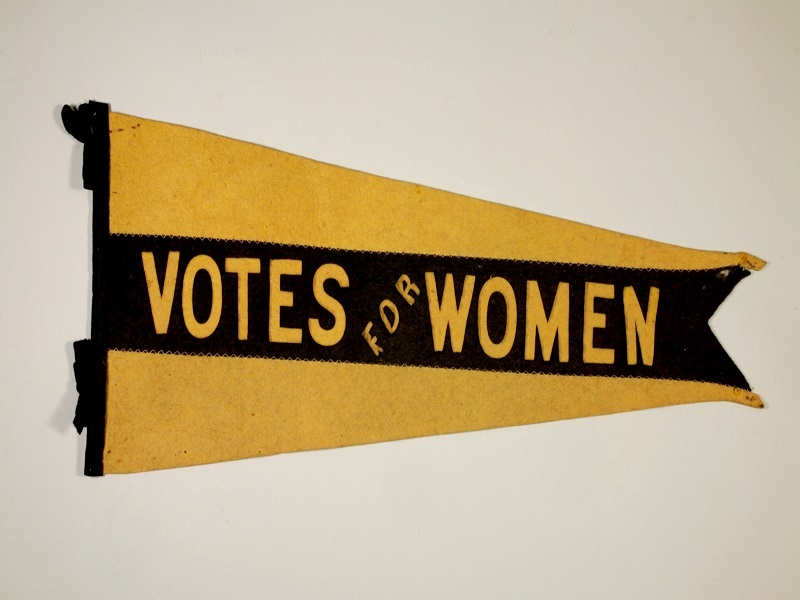 “Nice Women Don’t Want the Vote” includes fascinating artefacts that prove that this was a real fight, while also revealing the tensions within the movement. The exhibit includes an interactive audio component featuring a selection of oral history clips and a comment “ballot box”, where you can add your voice to the conversation. The exhibit also explains why some Canadians, like First Nations, were not given the right to vote in federal elections until 1960, and why some people even had their voting rights removed! Seeing the fragile nature of democracy at this moment in time reminds us that a vote is a form of individual power that needs to be used and protected. This exhibit providing an opportunity for Canadians to deepen their knowledge of voting and women’s rights.